For more than 25 years, Lang’s Kitchen & Bath has proudly served the community in historic Bucks County, Pennsylvania. We have extensive experience with kitchen renovations, bathroom remodels, and a wide range of other projects in Newtown, Newtown Grant and throughout Bucks County. As long time residents of Upper Makefield, we understand the surrounding community and its architectural styles. Not only can we incorporate personal touches into the design, we can also source local materials that will add to the design’s appeal. Kitchen design, ranging from a small kitchen upgrade to complete kitchen transformation, like these examples. The glass green backsplash is the focal point of this contemporary kitchen. Stainless steel and glass kitchen cabinets and a white waterfall countertop enhance the modern look. This traditional, open concept kitchen features maple cabinets, a copper sink, and built in refrigerator. A beautiful island graces the center of the kitchen and incorporates a wood butcher block to serve as a kitchen table. Bathroom designs in all sizes and styles, including contemporary master baths, hall bathrooms, powder rooms and much more. For example, this bathroom is fully accessible with an open shower, complete with grab bars and a built-in bench. The mosaic accent tile complements the dark cabinetry. This unique bathroom features gorgeous Knotty Alder cabinets and a glass-enclosed shower. A claw foot tub adds to the room’s sophistication. The contemporary design shown here includes sleek wall-hanging vanities with a one-of-a-kind floor tile design that mimics the shape of the vanity. We are prepared to work with you on almost any space in your home, to create a design solution that will enhance your lifestyle. Our design galleries illustrate a variety of bathrooms, kitchens, closets, entertainment spaces, and more. Visit our design galleries or contact us today for more ideas on kitchen renovations, bathroom remodeling, and updating other spaces in your home! 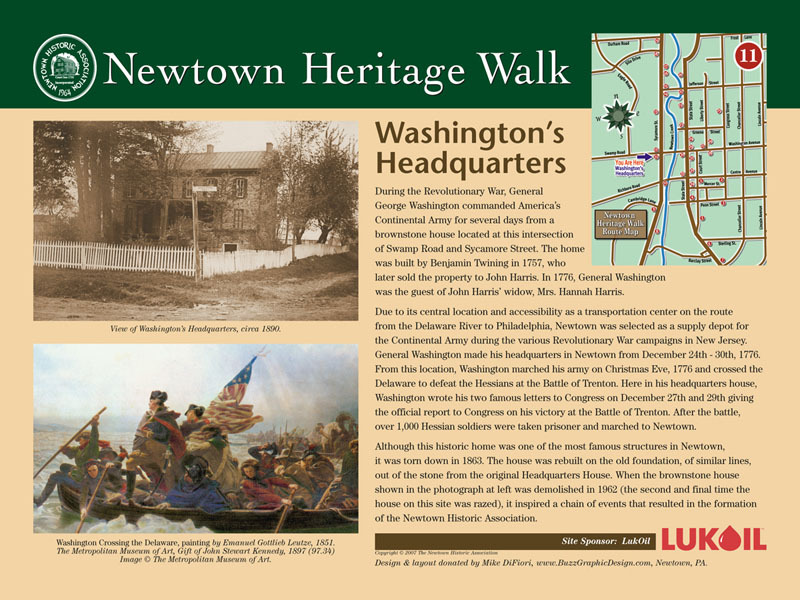 Named one of the 10 Coolest Small Towns in America by Yahoo in 2011, Newtown is a unique municipality offering many activities for artists, historians, foodies and shop-a-holics. Wander into the boutiques on State and Sycamore streets. Take in a movie at The Newtown Theatre, the oldest movie theater in the United States. Browse the selection and soak in the atmosphere at the one-of-a-kind Newtown Book and Record Exchange. Grab a pint and a bite to eat at the legendary Isaac Newton’s. 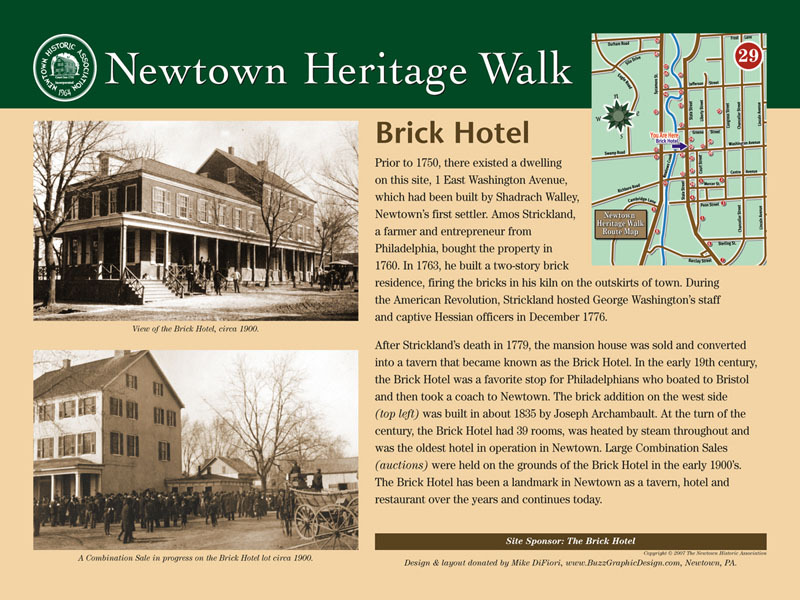 Founded in 1683 by William Penn, Newtown, like other towns in Bucks County, is full of rich history. 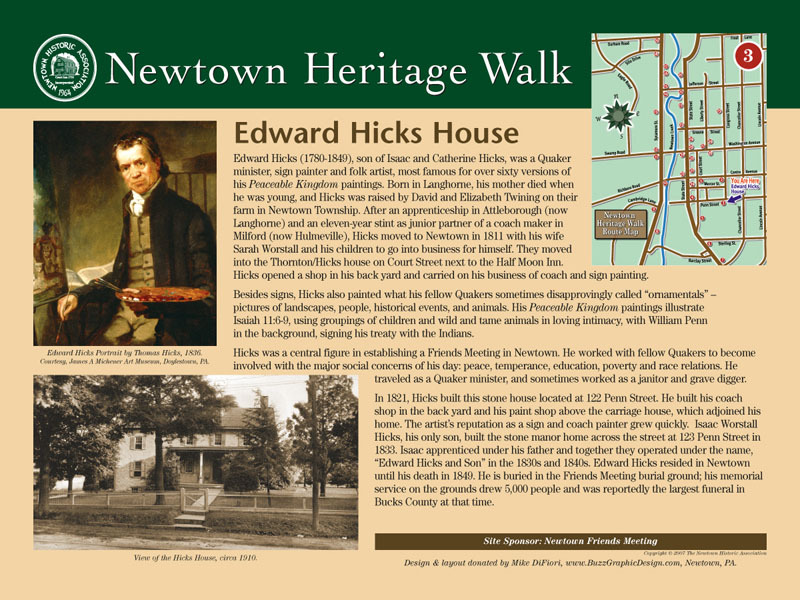 Enjoy a self-guided walking tour that will take you to more than 30 historical sites including: General George Washington’s Revolutionary War headquarters, the Brick Hotel, the Bird in Hand house, and the Edward Hicks House, where the American folk painter resided until his death in 1849.